The article linked below is an egregious story about a woman whose medical care was handled terribly. The patient’s nurse practitioner misread a test result and neither of the physicians she was referred to caught the error. (Did they read the test results themselves, or just rely on the nurse practitioner’s interpretation?) The patient ended up with both breasts and her uterus removed unnecessarily before she, herself, discovered the mistake the providers had made. This Washington Post article raises all kinds of questions (i.e. who reviews test results, what kind of supervision do nurse practitioners need/receive/require, is this a category of error like operating on the right instead of the left leg and is there policy around this that could reduce the error rate), but the issue I’d like to focus on here has to do with getting second opinions. 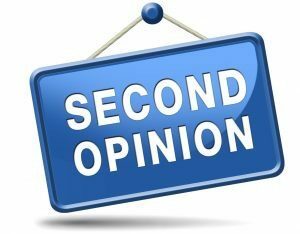 This article points at the end toward an idea we agree with, that every patient has a right to a second opinion and that a good doctor would agree with that and would not feel slighted or defensive by a patient asking for one. But we know the reality is much different. But many doctors still respond to a request for second opinions in ways that make it difficult for patients to ask for one. They might act hurt or imply that it is unnecessary (or say so directly! ), or suggest through cues that the patient is betraying their trust in the doctor by requesting one. If a patient would like to ask for a second opinion but feels worried about doing so, that right there indicates there is a problem—and that problem resides with the doctor, not the patient. Unfortunately, it is not always the case that you can just replace that doctor with another. So the patient is absolutely left to worry that this simple request will interfere with the care they receive. I take issue with the tips at the end of this article, too, since they suggest that it’s easy for patients to ask for second opinions if they’d just go ahead and do it, without acknowledging what is at risk for the patient. For example: “Be upfront but respectful with your doctor. You are partners in this, and having your doctor on your side makes it easier to transfer your medical records and coordinate care.” The whole problem is that, when asking for a second opinion, the very thing a patient risks is losing the partnership with the doctor. The relationship can feel precarious and it’s not always clear that “your doctor is on your side” even before asking for a second opinion, making the threat in asking for one, real. One corrective we believe would help is that a doctor should be the one to ask if a patient wants a second opinion. Then the patient will know that the doctor-patient relationship (i.e., the doctor’s ego) is not in the way, and it’s safe to pursue getting more than one read on a health matter. When doctors take the initiative, the patient doesn’t have to be fearful about compromising their own care or alienating their doctor through this request. Doctors should be encouraging this practice, especially for serious medical conditions and diagnoses. Yes, patients have a voice in care and should be free to use it; but in this case, doctors have a voice, too, and should use theirs to encourage patients to seek second opinions. Good points, Jeff and Naomi. Additionally, one should consider the possibility that the second opinion may be incorrect. And the third. There’s no magic limit to the number of wrong answers a patient might receive. I consulted with eight neuro specialists before getting the correct diagnosis for my unusual condition. Also patients should understand that treatment protocols are often controlled by the institutions that employ the doctors, and interfered with by insurance companies. So getting the correct diagnosis, the offer of an appropriate treatment, and actual access to that treatment can be an obstacle course for even the most determined patient.